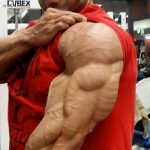 If you are trying to pack on muscle, but what your doing is not working, you may want to try these exercises to help you get massive. A lot of guys focus on arms and chest all week long. There is a reason for the saying “nothing changes if nothing changes”. If you want to pack on muscle and get big you need to focus on core strength exercises. Deadlifts are a must for getting massive, they are not an easy exercise which is why a lot of guys don't like to do them. Deadlifts are one of the best exercises to develop core strength and gain muscle. As you can see deadlifts stimulate just about every core muscle in your body, not only will they help you gain muscle you will get incredibly strong! Deadlifts can even have an impact on how much you can bench. When doing Deadlifts warm up with the bar, then begin to add weight performing 8-10 reps 5-6 sets your last set should be your one rep max. You should make it a goal of increasing the weight 5-10 pounds every week. Most massive bodybuilders including Dorian Yates, Arnold Schwarzenegger, and Ronnie Coleman all incorporated deadlifts into their training routines which are why they were massive and strong. Rack pulls are similar to deadlifts but with a reduced range of motion. Rack pulls let you lift more weight and target your upper and lower back as well as your traps. Rack pulls also help develop grip and forearm strength, the end result is stronger deadlifts. Squats are another compound movement that will build core strength and pack on muscle mass, front squats target the quads while normal squats hit the hamstrings quads. glutes, back, and abs. I know many guys skip leg day but don't! Squats are one of the best exercises to help you get massive. Many people attack squats as being a dangerous exercise, but if done right you don't need to worry about an injury. Try doing squats as a warm-up exercise before any training routine, squats will get the blood pumping and give you more explosive power and energy for a more intense training session. 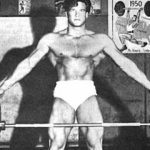 Good mornings are an exercise that many old-school bodybuilders used to do including Arnold Schwarzenegger, it is hard to find photos or videos of people doing them but they are an incredible exercise for strengthening your core. Good mornings are considered a hip hinge exercise and fall into the same category as deadlifts and squats. Good mornings target the muscles on the backside of your body that includes the glutes, hamstrings, lower/upper back and abs. This exercise is performed by athletes because it helps improve sprinting, jumping and throwing. Some are reluctant to perform this exercise of fear of injuring their back. If you start off with light weight and use proper form you will not have any problems. T-bar rows work the lats, trapezius, shoulders biceps, abdominals hamstrings, and glutes. One of the key benefits of T-Bar rows is increasing back thickness. TBar rows are a powerful exercise and in some ways better than barbell rows because you can handle heavier weight. T-bar rows should be one exercise that you don't skip when training back. 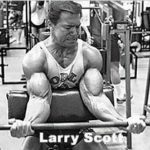 If you are serious about gaining muscle you should implement the exercises above, try them for at least 30 days and I guarantee you will see incredible strength and muscle gains. Besides lifting heavy you should keep in mind that diet and proper rest is also important. Try to train one muscle group per day and make sure you are eating a balanced diet loaded with quality protein and carbohydrates.